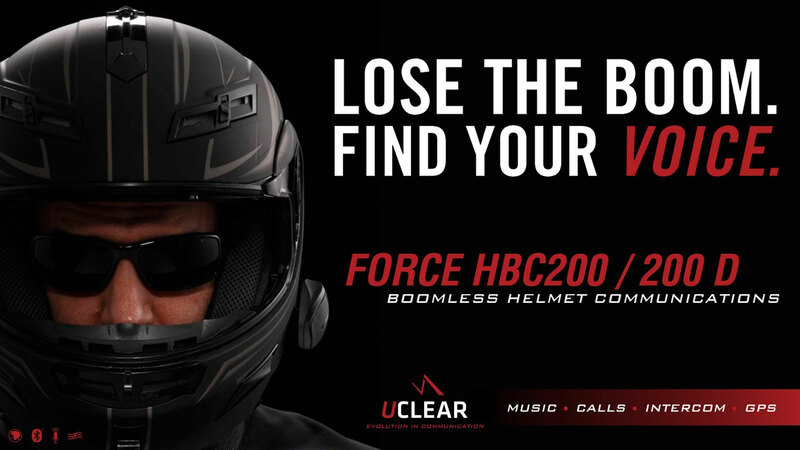 The Uclear HBC200 has one big claim to fame: It has a boomless mic system (the microphone is built into the speaker unit) that uses “Adaptive Beam Forming” technology that isolates the rider’s voice from the background noise. That means there’s no awkward microphone jammed into the front of your helmet, a definite plus for open and flip face helmets. Other than that, you’ve got the usual array of features that are more or less standard on these things, including dual-channel chatting (that allows private conversations and group conversations at the same time) and the handy ability to connect up to 10 other Uclear-equipped riders as well to other brands of communicator systems, so that everyone in your group does not need the same brand. 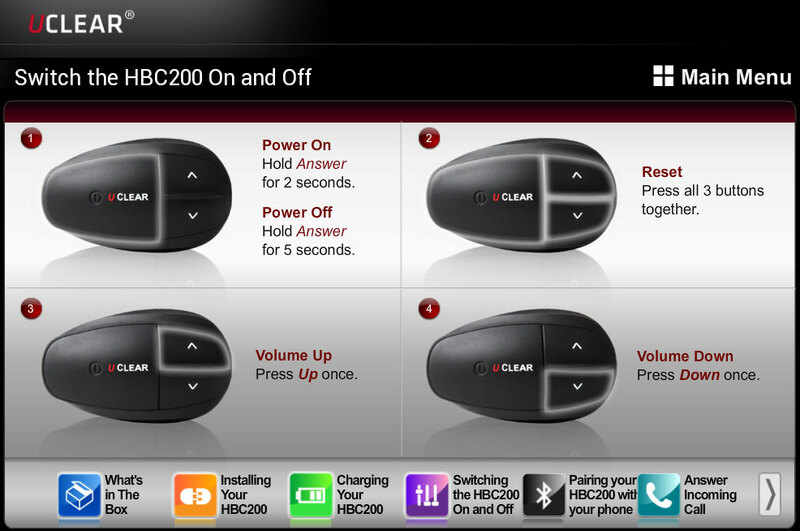 The HBC200 will connect to your MP3 player, GPS or smartphone via Bluetooth. It also allows you to connect to multiple riders without worrying about whether you can contact them directly via “line-of-sight” connection using”multi hop” technology that uses everyone’s Uclear device to extend signals down a group of riders. This is something we couldn’t test, as we only had two units, and I’m really unsure as to whether it’s a feature that’s used very often on the streets – how many biker gangs are outfitting themselves en masse with these units? Editor ‘Arris and I were able to run the comm units on various rides last summer, and I also spent a fair bit of time using it connected to my phone via Bluetooth. The units attach to the side of the helmet. The first step to using any of these systems is actually attaching it to the helmet, which was quick and easy (you permanently attach a metal clip to the helmet and then slide the unit onto that), and as Editor ‘Arris and our intern had already synced the units (also a painless process), we were able to hit the road and test them out in no time. Ergonomically, I found the HBC200’s buttons somewhat finicky. Although they’re big, I found them difficult to find and press at times. 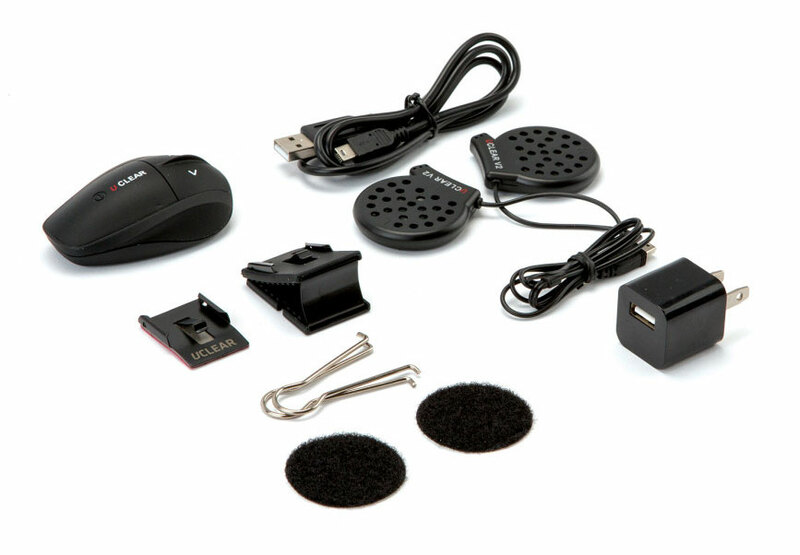 However, like any kit, the more you use the unit, the easier it becomes. Also, I found that the unit slides off its helmet attachment bracket easily – a little too easily. At least once, I ended up pushing it right out mid-ride, leaving it dangling from my helmet by the speaker cords. Attached to the side of the helmet makes the unit somewhat vulnerable too. 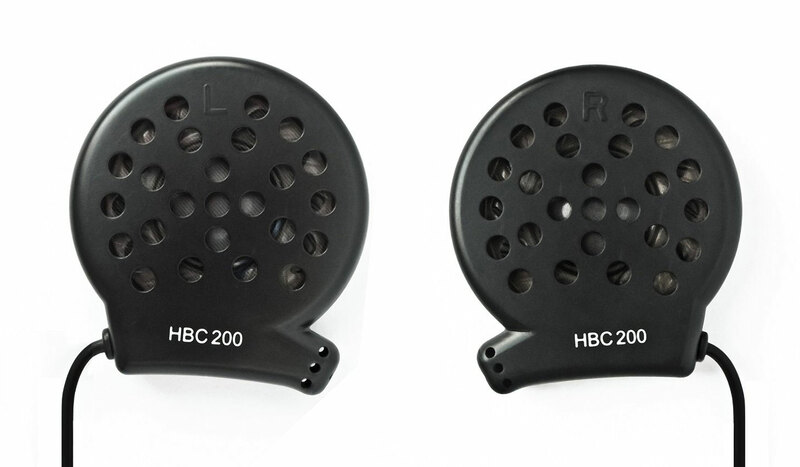 Unlike the Scala Rider units, the HBC200 is mounted to it’s clip with some plastic rails. 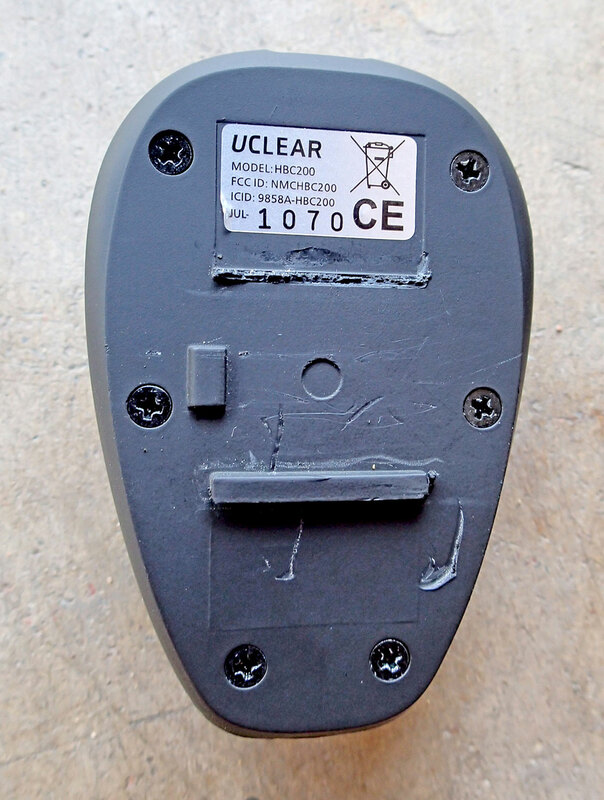 ‘Arris managed to break one of these off after a simple helmet drop, meaning that the unit could no longer be attached unless it was a permanent fix to the clip – meaning it could no longer be quickly removed from the helmet. My first revelation was that this unit is much more simple to use than the Scala Rider G9 we tested a couple of years ago. Having only three buttons to use meant it was fairly quick to master, although sometimes the combinations in which I had to press them was confusing. Overall, though, the learning curve was much less steep. 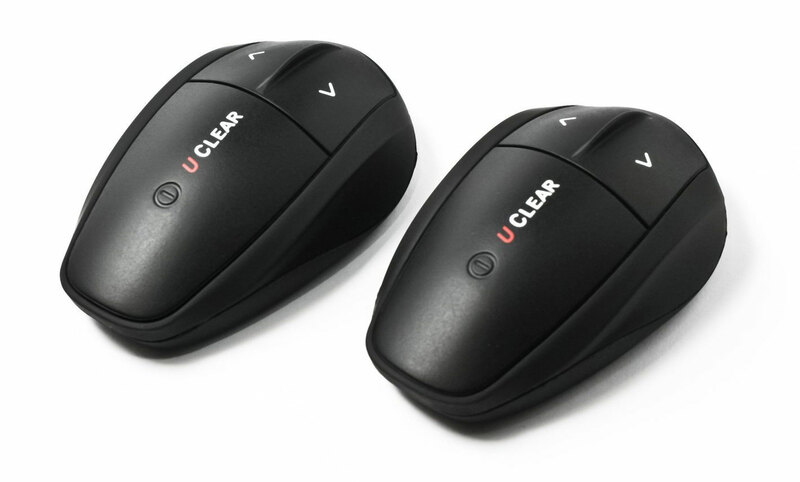 Part of the reason for that ease of use, though, is that the Uclear unit offers different features. While the bike-to-bike communication system is probably on par with the Scala Rider unit, at least with the latest firmware, the Bluetooth capabilities exceed what I had on the G9, as well as the Schuberth SRC unit (still my all-time favourite unit, based on the Scala Rider G4). The HBC200 actually allows dual Bluetooth pairing now, so you can connect your GPS and phone, or iPod and tablet, or whatever, at the same time. The VOX features (voice activation) are also different from the Scala units we previously tested and we spent much of our time yelling at them in order to try and make them work. Not so with the HBC200 – the only VOX feature is phone answering. A feature the HBC200 doesn’t offer is an FM radio. I know, I know – in today’s iTunes world, who even wants a radio? Me, that’s who. I find the radio interesting on tour, as it gives you an ear into the life of the communities you’re riding through. Also, if you want to preserve battery life, a radio means you can still have riding music without draining your Bluetooth device’s power. When using to communicate between two riders we quickly realized the HBC200s suffer from a common problem, regardless of manufacturer: With earplugs in, the volume isn’t really loud enough. Without earplugs, the wind noise at higher speeds drowns out the speaker. Sticky-out bits are the boomless mics. You’ll need to spend a bit of time ensuring that they point toward your mouth for best performance. 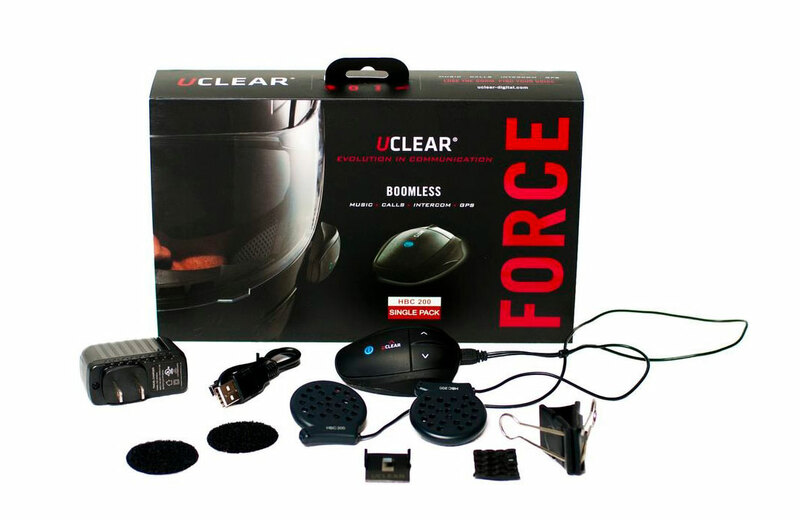 Now, this isn’t the first time we’ve run across this issue, and it’s somewhat dependant on what helmet you use (how close you can get the speaker to your ear without it rubbing, and the bike you’re on (large screens help block noise). As a result, the units just didn’t work overly well at highway speeds, as Editor ‘Arris and I were reduced to bellowing into the units or slowing down so that the windblast wouldn’t interfere as much with the sound. We tried them on a few separate occasions, but never got past this hangup. Uclear does seem to be addressing this problem as the latest HBC200 firmware claims “greatly improved communication speech quality at high speeds.” Although it was released recently and so was not within the time of our testing window, I downloaded it to check out some of the other new features. The firmware update process proved to be a bit of a hassle, but give it a half hour, and you’ll figure it out. As a reward, you’ll gain tons of functionality, and it won’t cost you a dime. For instance, after a few minutes of work, I’d connected it to my Scala Rider G9 system almost painlessly – a huge plus for me, as it now allows me to pair two otherwise incompatible systems. They also offer earbuds for the units that in our opinion is likely the best solution to the unpredictable noise issues that riders may face. 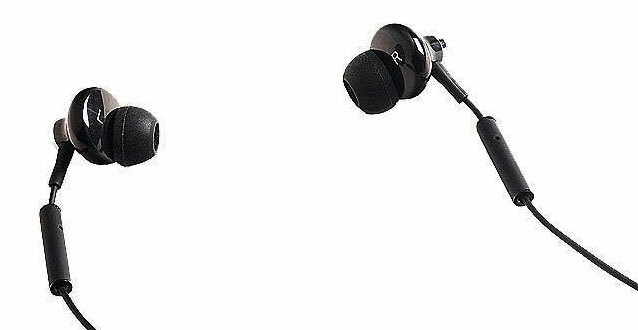 The UAE-100/200 earbuds come with inbuilt microphones and use the same technology as with the speakers and can be used with the units off the helmet too, though we’re not sure what use they would be. Sadly we did not have a pair to test. Would I buy the Uclear HBC200? At first I would have said no, but now I’m not sure. The original units we tested without the upgraded firmware would have been complete disappointments. Now, however, the ability to have dual-channel Bluetooth compatibility, the compatibility with other communicator brands and the (claimed) improvement in high-speed usability have me thinking the unit could in fact turn out to be super-useful. And the fact that Uclear has added so much functionality at no charge leaves me feeling positive about the company’s business practices. A two-unit Uclear system will cost you around $380 US from prominent Internet retailers south of the border. That price puts Uclear mid-range amongst its competitors; it’s around the same price or slightly more than some units from Sena or Cardo, but cheaper than some of its competition – which is just about right. How ever, the technology in these units changes so quickly that I’d highly recommend researching and thinking out your purchase very carefully before you spend your money. For instance, the lack of an FM radio isn’t a deal breaker for me, but it’s an important missing feature for many. But the ability to have inter-brand compatibility, or dual-channel Bluetooth, could be so useful in some cases that the lack of a radio isn’t a big deal. Again – these choices are ones a consumer has to make for themselves. For me personally, I was initially ready to reject the HBC200, but now that it’s upgraded, I’m tempted to give it another go. What did you do to fix the broken rails on the back of the unit? Mine did the same recently and I was looking for a way to repair or replace the back piece. Any ideas? Remember the SCTV spoof: “Mr. Boom Microphone”? Why do all the manufactures have the same problem with a lack of volume? I have a Scala and would trade it for any unit that I could hear on the highway.